SAN DIEGO — Buddhist Temple of San Diego is planning two Obon celebrations this year. 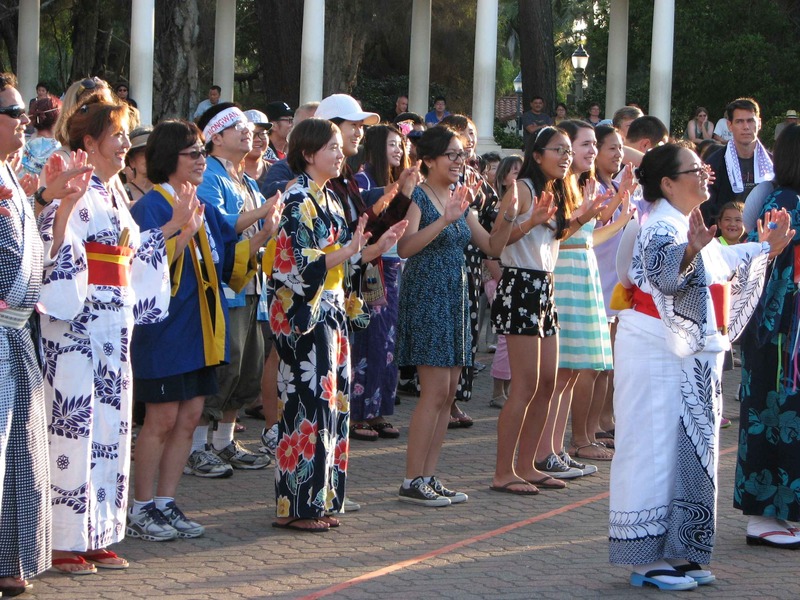 The first Bon Odori will be held on Sunday, July 31, from 4:30 to 6:30 p.m. at the temple, 2929 Market St. in San Diego, following Hatsubon/Obon services at 2 p.m. The second celebration, continuing from last year’s inaugural event, will take place on Saturday, Aug. 6, from 10 a.m. to 4 p.m. at the Japanese Friendship Garden of San Diego in Balboa Park (paid admission), with Bon Odori at 6:30 p.m. at Spreckels Organ Pavilion, 1549 El Prado #10 (free). Both days will feature taiko, food, drinks, craft vendors, a beer garden, games, entertainment, and displays. The last odori practice will be held on Wednesday, Aug. 3, at 7 p.m. at the temple. For more information, contact Buddhist Temple of San Diego, (619) 239-0896 or www.btsd.net, or Japanese Friendship Garden, (619) 232-2721 or www.niwa.org.